STUDYING and having fun are not mutually exclusive. 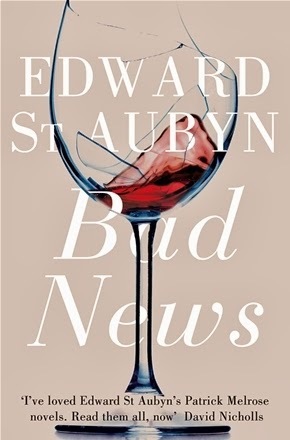 I'm currently reading Edward St. Aubyn's Bad News, the second book in the Patrick Melrose saga, and I consider it part of my Pharmacology review, if only to convince myself that I'm not wasting my time. In Bad News, Patrick is now 22 years old. His father David, the brutal man who ruined his childhood (and his life, really), has died. Meanwhile he's become a heroin addict. Descriptions of his addiction are stressful to read. Even as he eats dinner with friends he frequents the restroom to give himself a high, using his necktie as tourniquet. He has good veins, so injecting IV drugs isn't a problem for him. His life has become a downward spiral. As I struggle with Patrick's struggles (in a sense, it is a hard book to read), it occurs to me that the novel may help me in my Pharmacology review, especially in the Toxicology part. The immediate and delayed effects of heroin addiction are illustrated well. The aural hallucinations that afflicted Patrick as he groped his way along the wall towards the line of basins were not yet organized into words, but consisted of twisting strands of sound and an eerie sense of space, like amplified breathing. And what happens to people who overdose with cocaine or nicotine? The book answers that, too. I'm not saying I should throw away Katzung, but this book has its place in my board review. I'm not just entertaining myself—I'm reviewing!